Situated on a bluff overlooking the Guadalupe River, this spectacular restaurant nestled under the shade of towering oak trees has been the perfect getaway for a unique casual dining experience for 30 years. The restaurant’s reputation was built by serving fresh fish, succulent chicken, thick juicy steaks, big juicy burgers and a complementary array of salads, appetizers and veggies. 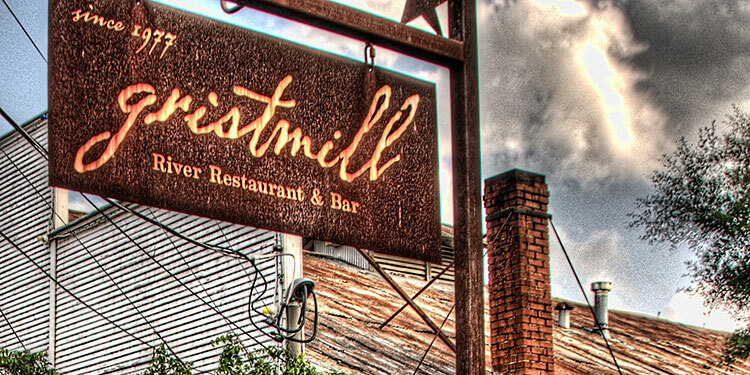 Visitors also will enjoy the Gristmill’s great wine list, fresh-squeezed lime margaritas, a full bar and renowned desserts.